It is that time of year for high school senior portraits at the beach! I know what you are thinking, let's get my senior portraits done at the beach and let's find a photographer to do them. Sounds like a great idea, but you better do your homework because senior portraits are easy, but looking like you have style while doing them is quite a challenge. That's where we come in. We know how to bring the bang and make your high school senior portraits stand out from the crowd. We understand you deserve images that will stand the test of time and help others remember you as you, not some glamour shot looking rendition of yourself. Trust me I have heard all the horror stories, and I promise we will work for you to capture the images that you want and deserve. It is easy to take a picture, but very hard to take one that shows the real you. That is why we take the time to find out who you are, what you are into, what you do for fun and come up with a plan to incorporate you into your senior portraits. Your senior pictures should be about you, not some crazy vision of a kooky photographer that thinks their passion should show up in your yearbook for the rest of your life!!! It's not all about some cool trick they learned from a u-tube video about how to work their on-camera flash, it is about YOU! We want to make you, YOU... Are you relaxed, itching to get out of high school, all about the band, a super-star on the playing field, a kid who always has a book in their hand? Who you are should show in the art, and we are here to help. Help us answer a few simple questions and we are positive we can make you, YOU! 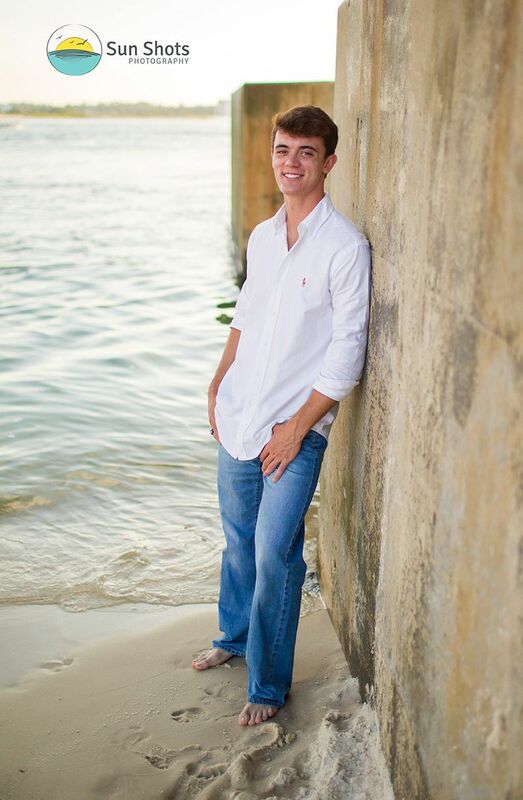 The goal is simple, create your high school senior portraits with style at the beach, and make them all about YOU!